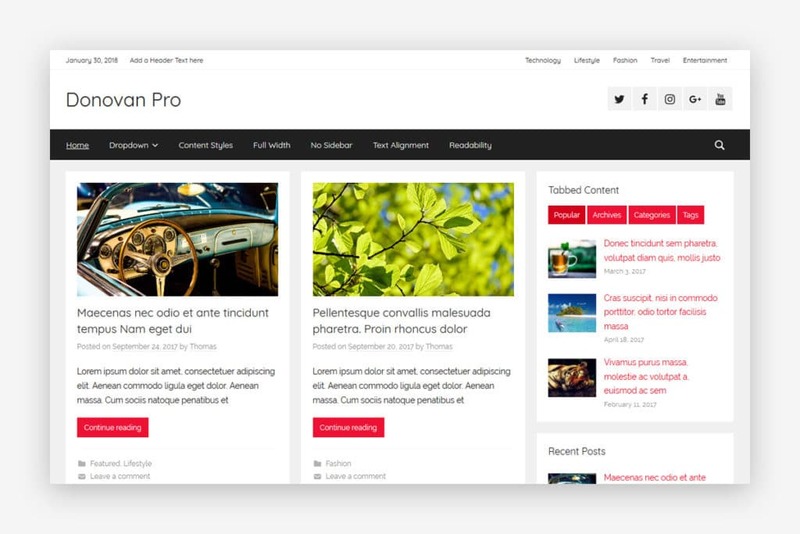 We have released our newest WordPress theme Donovan two weeks ago. You may have seen it already if you have visited our website the past weeks. February was quite busy so far and I did not find any time to announce our newest theme launch until now. At the moment Donovan is still in the review queue and therefore not available on WordPress.org yet. I guess it will take a few more weeks so this is kind of a soft launch. But you can download Donovan from our website. I really hope you like our newest creation. 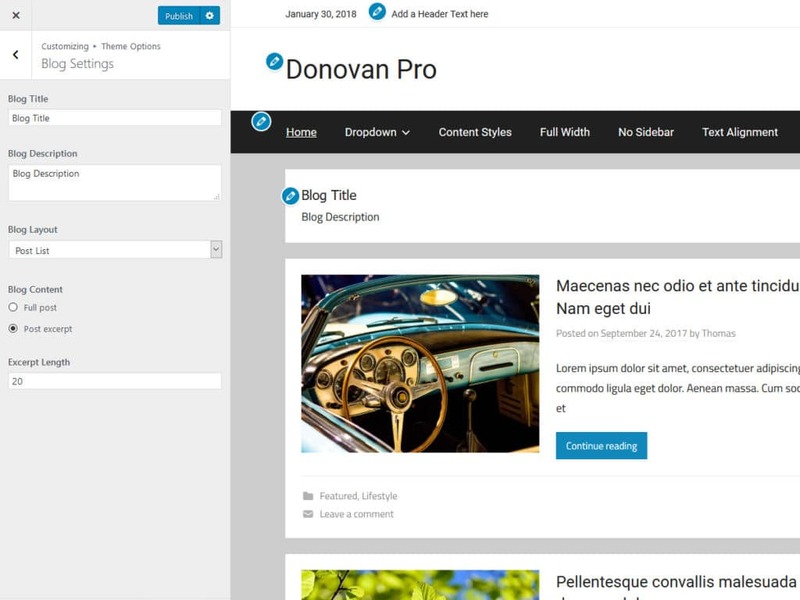 You can use the Blog Layout setting to choose between Post Grid, Post List or Large Posts. There are also options to set a blog title and choose between excerpt or full posts. Donovan is a pure Blogging Theme and does not support our usual Magazine Widgets. With the Gutenberg project, the future of widgets is not really clear yet. We guess they will be replaced at some point with blocks. Most likely it will then make more sense to keep these new Magazine Blocks in a plugin rather than the theme. Until we know for sure, we will release our upcoming themes without any Magazine widgets. We have also started to learn how to develop Blocks for Gutenberg.